With the increased demand for video content in digital marketing plans, it is clear that more and more businesses are starting to realize the power of video. Other than all the latest video marketing stats that support the fact that video should be a major component of any modern marketing plan, there is also the scientific fact that our brain processes visuals more quickly than text. If your video is created well, it could be one of the most effective marketing tools in your plan. There is nothing better at capturing the attention of your customers than a high quality video. 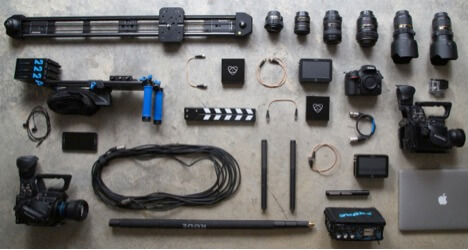 So, what’s the number one thing to keep in mind when briefing your video production company? First and foremost, you need to share everything there is to know about the video’s core target audience. No matter how great a video is, it is of no value to you unless it resonates with your specific audience. You need to ensure your video production company understands your audience so that the video content can be crafted keeping that audience in mind. The intended audience will have an impact on several different elements of video production. Has the audience profile been identified and shared with the video production team? The starting point should be to identify who your target audience is and really understand that. This responsibility lies with your marketing team and not the video production company. Every video should have a core audience, even if it is a small group. A video that is targeted at a narrower audience is bound to have more impact within that small group, even if it receives less views and shares across the board. Make sure that all the relevant audience information is shared with the video production team, so they can create the concept with a clear focus. 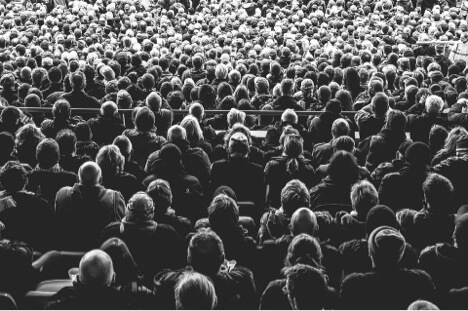 What is the core audience profile? 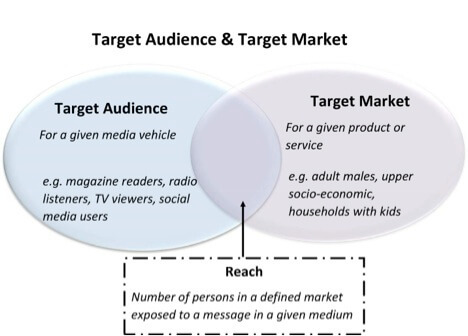 Once the core audience has been identified, you need to get to share more about the demographic you intend to target. This will shape the production of your video content from the very start. Share as much insight about your audience profile as you can so the production team can tailor the video content to be as targeted as possible. For instance, the age of the audience will have an impact on the tone and style. Videos produced for a younger audience should be significantly different than those for an adult audience. Where is the audience in the awareness stage? It is important to understand which stage of the marketing funnel your audience is when they view the video. Audiences with more technical knowledge and interest in a subject may be more interested in a more detailed video about it, whereas an audience that is unfamiliar will perhaps need a simpler video that is short and easy to understand. What are the target audience’s interests? According to research conducted by Visible Measures, 20% of viewers abandon a video within just 10 seconds. And it doesn’t take long for the rest to follow, with around a third of viewers clicking away by 30 seconds, 45% by just a minute and nearly 60% by the two minute mark. With this clear evidence of online audience’s increasingly short attention spans, it’s clear that you need to grab their attention quickly. And this is much simpler once you have a deep knowledge of what is more likely to capture their interest. Of course, all video content should be created to be compelling and engaging. However, knowledge of passion points will mean an audience is much more likely to engage. For instance, if your audience is 16-24 female with evidence of interest in celebrities, is there any way you can find someone relevant to include in your video? If your audience has a love of music, how can you use music in your video in an interesting way to gain their interest? Interest levels in the topic at hand are also important to know. If your video will be produced for an audience that is already interested in a topic, it may be created in a slightly different way than if you were hoping to capture a completely disengaged audience. The video production company may need to add in entertaining angles which are unrelated to the topic to grab their attention before leading them into the main content. What are your core audience’s pain points? You can make your video even more relevant to the audience by addressing your customer’s pain points and taking into consideration their individual needs. Share the necessary research on audience pain points with the video production team and let them know what problem you are looking to solve for the customer. The video doesn’t necessarily have provide an answer or a solution for the audience, but it should motivate them to find out more about a topic or a product related to their needs. 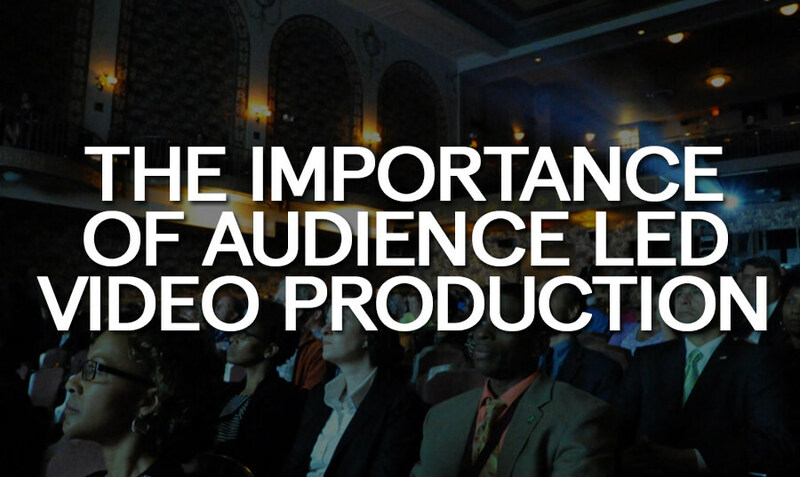 What elements of video production should be led by the audience? Once you have good knowledge of your audience, it is a good idea to check out what types of content they are usually engaging with. Of course, the tone of the content is also decided by the product and brand, but it should also be a tone that is appropriate for your audience. For instance, if you know that your audience are music lovers and creative types, the video should reflect that. The video that you produce should have a clear message within it. The audience should be forefront in your mind when deciding what this message should be, as the video should be speaking directly to them. It needs to be a message that you know will resonate with the intended audience. Once the video is produced, it is important to keep your audience in mind when deciding where your video will be placed online. This channel plan should be created using insights about where your audience is spending time online and which networks/sites they are frequenting. What elements other than the audience lead to quality video creation? This is something that you should clearly state in the brief for your video production company. It is important to be clear on what you want to achieve with the video before they embark on the production process. For instance, is it for brand awareness or is to generate leads? How does it fit in to the rest of the marketing campaign and strategy? These are key points to add when you’re informing the video producers about your audience. To tell an authentic story about a brand or product, your video production team need to gain a clear understanding of it. Help them understand more about your brand story and essential product information (if it’s a product focused video). It is best for them to have a clear vision of your brand in mind before going ahead with their marketing video production. According to Cisco’s Visual Networking Index, video traffic will account for 80% of all global online traffic by 2019. So, there is clearly plenty of video content to compete with in this crowded online video market. To ensure that your video stands out, you need to share with your producers what else your audience is consuming. Make sure that your story is authentic to your brand but presented in an unusual to avoid getting lost in the crowd. When your video is created with a defined core audience in mind, it is bound to get more engagement and better results overall. Viewers will be more likely to share and comment on a video which is created based on their specific interests. Other than engagement, your audience led videos will also lead to an increase in brand affinity and awareness, and eventually sales. Yes, if the message strikes a chord with the audience, then they are also much more likely to click, convert and make a purchase. Hopefully, if you keep all the above elements in mind when briefing your video production team, you’ll see an instant impact on your results and effectively capture your audience’s attention through video.